I have to admit, I'm not a big purse fan. I know a lot of people have several purses and switch between them depending on where they're going or what they're wearing. Not me - I only have the one. But it is really messy in there, despite efforts to clean it regularly. So I was excited to review the Pouchee Purse Organizer. Pouchee is specifically designed to fit inside handbags to make women's lives easier and more organized. The Pouchee has a spot for everything and can fit many items in the inner and outer pockets, such as pens, sunglasses, mobile phone, credit cards, keys, and more. The Pouchee also has handy gun-metal rings on its top to make transferring from purse to purse easy. I wasn't able to give this second benefit a try, because, as I said, I only have one purse! But the rings seem very sturdy - they're not going to fall off or rip off. So I can see that it would be very helpful for those of you with multiple purses. I did use it to organize my purse. I didn't think my phone would fit in the outside pockets, but it fit well in the larger of the two outside pockets. My mp3 player fit in the smaller of the two pockets. There are slots for cards on the other outside surface, and I was able to put a few of the most-used cards there, such as my driver's license. Inside, I was able to store my slimmed-down wallet with paper money and other cards, change in the zippered pocket, sunglasses, keys, and a pen. The only items in my purse that didn't fit well were my checkbook and of course my coupons! Still, all the things that I need to take out of the house fit in the pouch - and I knew where they were instantly. I didn't have to rummage around through receipts and lists and unused coupons to find them. Overall, I really liked the Pouchee purse organizer. I hope it helps me continue to stay organized! Would you like to purchase a Pouchee organizer? The Pouchee is available in 2,000 stores across the US and Canada. Go to the Pouchee website and type in your zip code to get a list of stores near you. Or, you can order on the Pouchee website itself. While you're at it, "like" Pouchee on Facebook or follow on Twitter. Or would you like to get one for free? 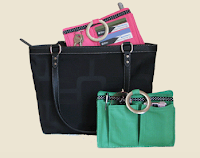 Frugal Follies is hosting a giveaway for a Pouchee purse organizer! The winner will get his/her choice of a Pouchee from the Outback collection. The Outback Pouchee purse organizer is made of high quality faux leather. Dimensions: Width: 7.5” x Height: 5.25” x Depth: 3.5"
This contest will end on Friday, March 23, 2012, at 12:01 am. It is open to entrants 18 years and older in the United States of America. If you are the winner, I will contact you via the email address you've left. You will have 72 hours to respond. If you do not respond in that time, you will be disqualified and I will pick another winner. This organizer looks great. 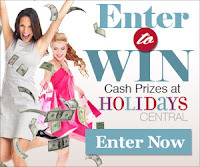 I'd love to win!! THANK U FOR THIS GIVEAWAY!!!!! GREAT GIFT!!!!! THEY'RE ARE SOME COOL COLORS IN THERE & THEY'RE ALL GREAT DESIGNS!!!!!! Love the Marine the best! Ian or Aussie Red...love them both. :-) Thank you. I'd like the Marine color! I love the color raspberry sorbet. I like the Charcoal Chic or the evening plum. I like the Raspberry Sorbet! I love the Aussie Red :-) So cool!!! I like the charcoal chic. It should match with any color purse. i love love the burn orange. This is brilliant! I love Brown. I want the black one. Thanks for the giveaway!! I love the Burnt Orange. I like the Evening Plum. i love the raspberry sorbet color! I like the tan :) Thanks for the giveaway! The Evening Plum is pretty! I love the marine color best! I like the Charcoal Chic. Thanks. Tan is my color choice! I like the Charcoal Chic color best. I like the black the best. I like Black- goes with every purse. I like the Marine blue one. I love the hot pink! It's my favorite color!! I like the black. It would go with any purse! I would love the "Rasberry Sorbet" one. I would get the black one. The red looks really good. Thanks for the giveaway! Awesome giveaway item. I love the black, classy and it will go with everything! Thanks!!! I like the Raspberry Sorbet. I like the marine color. They are all pretty, but I really like spanish olive. I like marine. Thanks for the giveaway. Evening plum is very nice. I like the Marine one.